Your court address in Kern County Shafter Traffic Court is Shafter/Wasco Superior Courthouse – 325 Central Valley Hwy., Shafter, CA 93263. Our Attorneys Go To Court For You! Don’t pay that ticket! Hire our attorneys to appear in court for you. Manny "Lee Buck" Rios, Esq. I was born in El Paso, Tx on March 6, 1950. 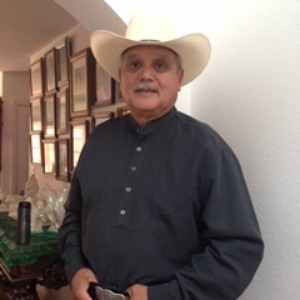 I moved to San Diego, CA on February 24, 1974 and lived there until April 2015 when I moved to Indio, CA, where I now live with my wife of 34 years, Maria Guadalupe Rios . I have two adult sons. Jose Manuel is the lead guitarist for Anderson Pak and the Free Nationals and Miguel Angel is a DJ, and Music Producer with his own company titled CaliPari. I am a Vietnam veteran serving from Aug 1968 – through July 1969. I was a Texas Peace Officer from 1971-1974. I have been a criminal defense sole practitioner for the past 27 years. I have handled approximately 1,500 citations in the last two years traveling to courthouses as distant as Bridgeport, CA to Blythe, CA. I welcome the opportunity to handle your citation and will work to obtain the very best result possible.